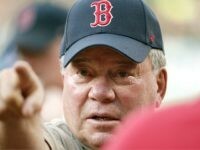 Veteran actor William Shatner tore into “myopic censorship club members” on social media this week, who’ve been calling for the Christmas classic song “Baby, It’s Cold Outside” to be taken off the air. 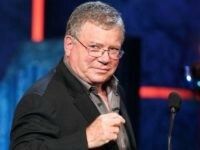 Iconic actor William Shatner called out Facebook on Tuesday after they promoted a fake news story on his birthday claiming that he was dead. 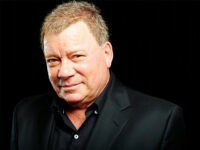 Award-winning actor William Shatner blasted Texas Democrat Brandy Chambers for using a photograph of the two of them without his permission in a campaign letter. 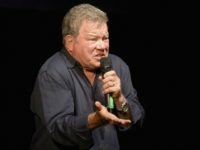 William Shatner, the actor best known for his role as Captain Kirk on Star Trek, expressed his distaste for social justice warriors and was promptly attacked by SJWs on Twitter and in the media. In February, nearly 19 in 20 (94%) California voters called the drought a “serious” problem, and 68 percent classified it as an “extremely serious” problem. However, a number of celebrities with homes in the state have apparently not received the memo. Star Trek actor William Shatner wants to boldly go where no man has gone before: To the rain-soaked city of Seattle for a potential solution to California’s devastating drought. 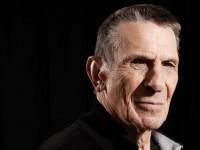 Leonard Nimoy, the actor known and loved by generations of Star Trek fans for his portrayal of the pointy-eared and logical Mr. Spock, has died at the age of 83. 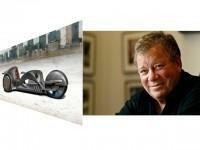 William Shatner has created a new company, Rivet Motors, that is building custom, futuristic-looking steampunk motorcycles, and is planning to ride one across the country this coming summer.